Antennas are the gateway to wireless transmission, embrace your inner E&M and view our antenna A to Z database. Simulations can be difficult to set up correctly. 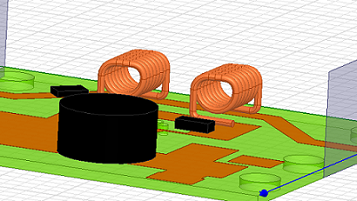 Use some of our insights into setting up your simulation correctly the first time. Layout is art mixed with science. We have learned several good "rules-of-thumb" that we would like to share with you. Bit Error Rate (BER) is the basic metric behind every type of digital radio communication. Learn what you can from us and our experience with different communication standards. What is a radio made up of? How does IQ modulation work? Why should I care about QAM and MIMO? These questions and many more answered. We are slowly putting together a comprehinsive list of many different useful antennas and their general performance characteristics. Got an antenna question, check this out! EM Simulators can be hard to setup. We have created several videos to explain how to use many of the industry standard simulation suites. 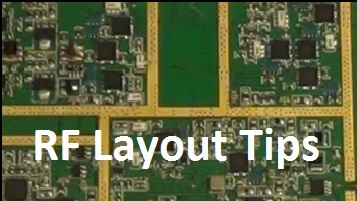 Guidelines we like to follow when laying out RF boards. We are currently in the process of updating the website. Please contact us for more information on our services and products. MicrowaveTools is an online learning community, RF store, and consulting firm. MicrowaveTools started as a design services center and grew into a place for us to share our knowledge of microwave theory and design. This website offers different microwave tools, tips, and programs which help provide the knowledge and tools necessary for many different RF systems and sub-systems. Our site is run as an open source platform under the Creative Commons license CC BY-NC-SA 4.0. MicrowaveTools is a company which offers open source hardware and training tools under the Creative Commons license CC BY-SA 4.0. We have spent years putting together the tools, designs, and training material which is available on this site. If you would like to add to our material, please contact us. MicrowaveTools Inc. had its humble beginnings in design and consulting services. MicrowaveTools has provided a wide variety of consulting services for many different international customers. Some of our current and previous clientele include: Air Force Research Laboratories (AFRL), Harris, Oracle (Sun Microsystems), Tektronix, United States ARMY, and Zee Entertainment Enterprises (Dish TV). More information regarding our consulting services is available here. We currently offer several different RF systems and sub-systems. If you are interested in a specific pre-built product, check out our product page.